Designed for infants, the Infant Cube Urns are available in pink, blue and white. 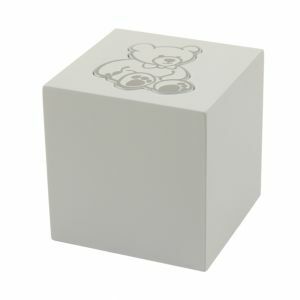 All three colours feature a raised and detailed outline of a teddy bear. 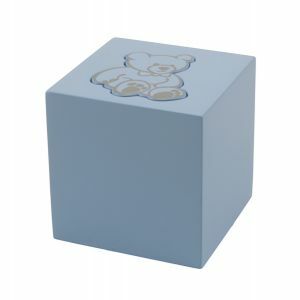 The urn is made of medium density fiberboard and finished with high gloss paint that engraves beautifully. Dimensions: 90mm x 90mm x 90mm - Capacity - 20 c.i.